Since Aliu has played for my hometown Chicago Wolves before making his NHL debut with the Calgary Flames, I was excited to get a signed rookie card of the Nigerian-born winger. However, a few things happened that made getting this card impossible. 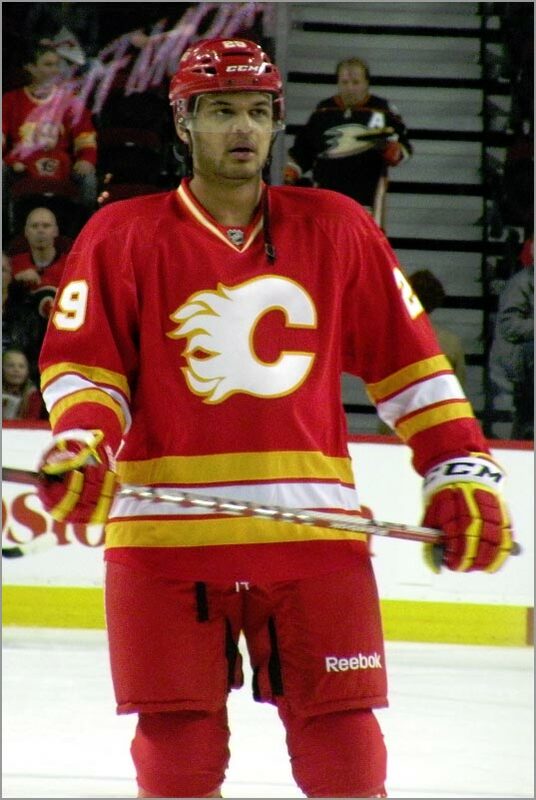 First, Akim Aliu was not re-signed by the Flames at the end of the 2012-13 season. He ended up spending the 2013-14 season on minor league contracts with two different AHL teams. You would think that during the long hours of riding a bus to places like Worcester and Reading that he’d have plenty of down time to sign some cards. Nope! 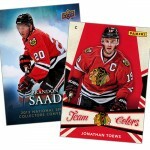 Then at the conclusion of the 2013-14 season, Panini America had their NHL and NHLPA licenses revoked, which made Upper Deck the sole manufacturer of licensed NHL trading cards. I’m guessing that, at this point, getting Aliu to autograph a bunch of trading cards from two years ago — or even a bunch of clear stickers to affix to said trading cards — was no longer a priority for Panini America. So, the redemption was out of sight, out of mind as far as I was concerned, while Panini probably had other things to focus on than to try and settle up outstanding hockey redemptions. Which brings us to this year. When I rediscovered this redemption card, I thought that I must have gotten it by now. Panini always delivers. But when I looked it up, it showed that I registered for the redemption on July 2, 2013 and that the order was still open. Unable to find a way to explain my problem via the web form on Panini’s website, I put out a request for help via Twitter. 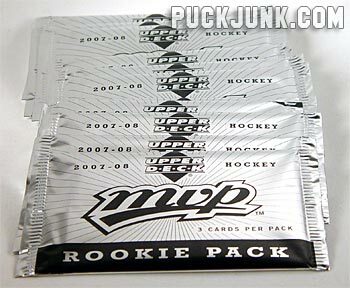 Hey @PaniniAmerica who can I contact about a long-overdue redemption card that I am still waiting for? Initially, Panini was quick to answer. The next day, I contacted their Customer Service Twitter account. @PaniniCSM Can you help me with an outstanding redemption? I’m still waiting for a card from 2013. A day later, they replied. 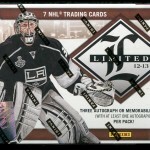 @PuckJunk – What is the 6 digit redemption number for it? Five days later, and no reply. So I reached out again. No answer, so I started contacting every Panini Twitter account I could think of. Eight days later, still no reply, so I tried again. @PaniniCSM @PaniniAmerica @PaniniPigskin @TracyHackler Going on 2 weeks now. Can someone help? is there an email I can write to? Three days after that, a reply! We then moved the conversation to direct messages. It only took 19 days of tweeting, but hey, this was progress! The Panini Customer Service Rep was very polite and helpful. I stressed that I didn’t expect the exact card that the redemption promised. The Customer Service Rep asked what players I might like as a replacement, so I listed out the best Blackhawks circa 2013: Jonathan Toews, Patrick Kane, Marian Hossa, Corey Crawford and Duncan Keith. They said they’d get back to me. Four days later (March 3), I followed up via a direct message on Twitter, but no reply. 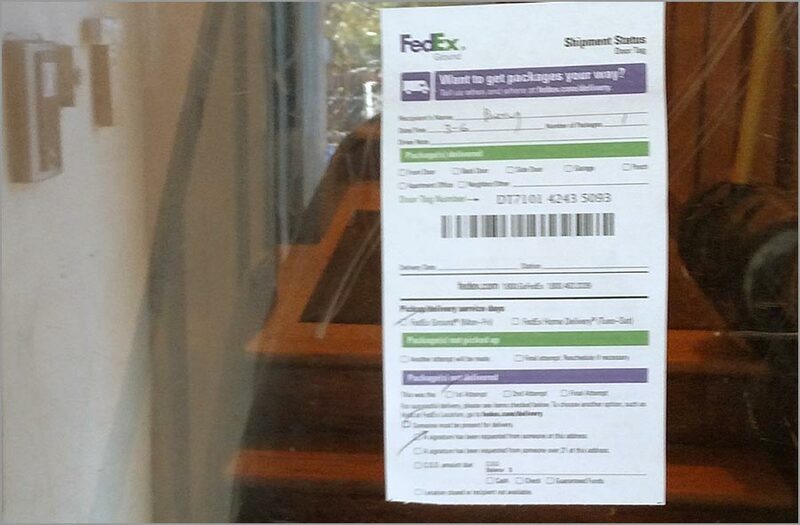 Three days later, I get home and see the dreaded “you missed a package” notice stuck to my door. Package? But I’m not expecting a pa…oh, that’s right. Panini must have sent me something. The next day, the package from Panini was delivered, as someone was around to sign for it. The package was kind of big for a redemption card. For a moment, I panicked and thought that Panini might have sent me a box of their 2015-16 Anthology Hockey to make up for the promised Aliu card. That would have sucked. 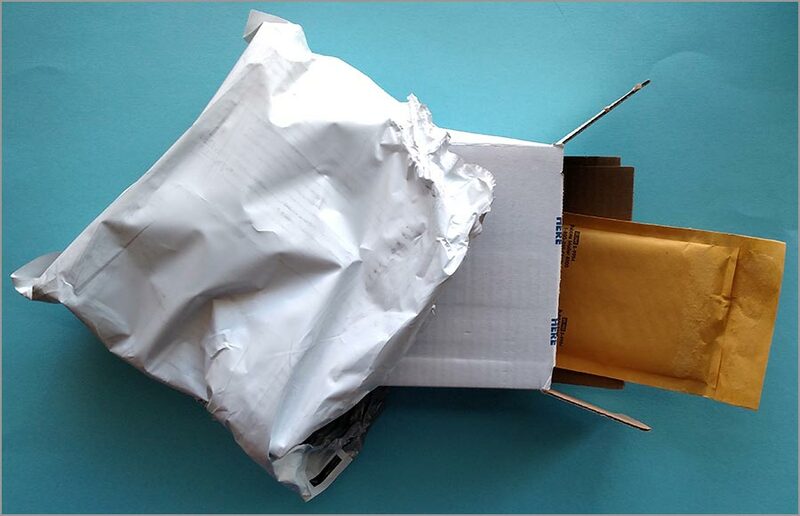 Upon opening the envelope, there was a box. Inside the box was a smaller envelope. 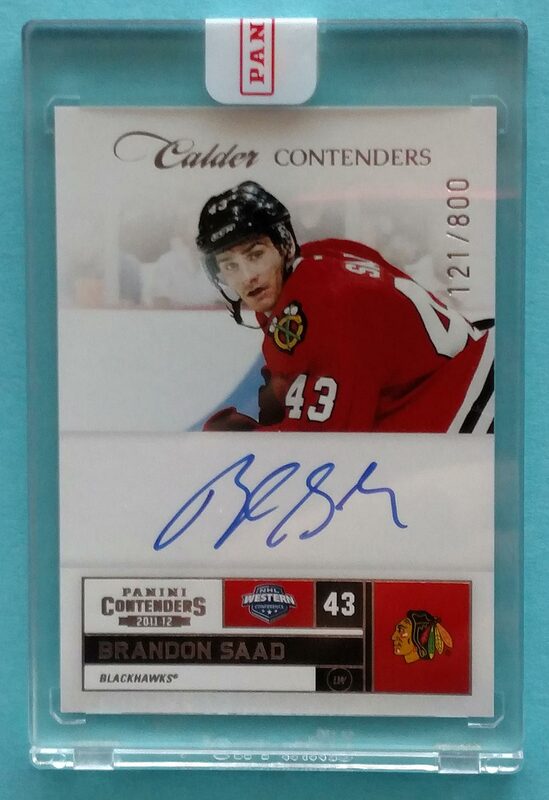 Sure, had I gotten this Brandon Saad autographed rookie card in 2013, that would have been pretty rad. 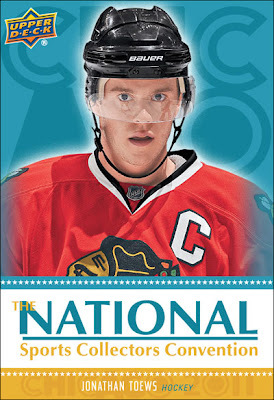 He was an up-and-coming Blackhawks prospect then. The card is a signed and numbered rookie card, so I feel that Panini tried hard to give me a comparable card from a team that I liked. But at the same time, a box of 2012-13 Limited contained only seven cards, whereas Contenders had around 90 to 100 cards per box. In other words, getting a rookie card from Limited was a more expensive and difficult task than getting a rookie card from Contenders. Overall, I am happy with the effort that Panini made to compensate me for the promised card that they could not deliver. I’d much rather have a signed card of a player that I enjoyed watching and who is still a star in the NHL today than a late-season call-up who played in a handful of games. Wow, the timing of this article is perfect for me Sal, as I just purchased a redemption auto on eBay for the first time in my life. It was an expensive pick-up too, and I’m nervous that I may have made a mistake and it won’t pan out. Mine is through Upper Deck, and is a player who is still active in the league and appears to be signing for many other releases so I feel okay about it overall. I appreciate the behind-the-scenes insight into what you had to go through to get yours, glad it ended okay for you! Nah, you’ll be fine. Upper Deck has always delivered what they promised when it comes to redemption cards, so you’ll either get what you expected, or sometimes something better. When UD couldn’t deliver a Patrice Bergeron signed card, they substituted it with a Tuukka Rask signed rookie card, which I think was above and beyond what was initially promised. Again, my complaint with Panini is that they let this go for so long, and if I didn’t nag them, then nothing would have been done. Awesome, I’d forgotten about that Bergeron/Rask post (which I even commented on!). Totally agree with your gripe about Panini, that seems pretty unacceptable for sure. Thanks again Sal! This article made me remember that I have had a few outstanding redemption cards in with them, the longest of which is a Scott Glenne/ Dustin Byfuglien autograph from 2012-13 Certified. The wonderful thing about the redemption part of their website is it tells you when you placed your redemption claim with them. I apparently did this on December 27th, 2012. Perhaps I should get a hold of them. Thanks for reading, Alex. My suggestion would be to reach out to Panini via Twitter, as that got me a response. Hi Sal great article. I’ve been trying to get a hold of panini for over 4 months. I’ve seen redemption cards that I have sent out to other people on eBay and I still haven’t recieved mine. I contacted paniniCSM and they blocked me for asking for help. What can I do to get a hold of someone there to help me? I’m really frustrated. 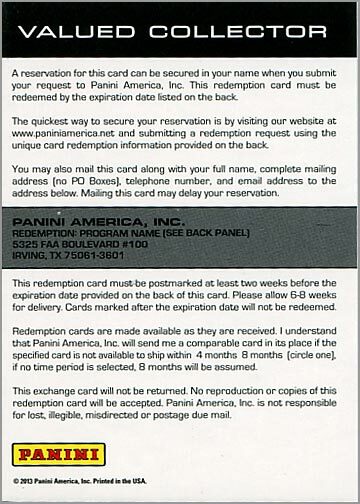 I forwarded your message and email address to an acquaintance of mine at Panini. No guarantees, but hopefully he can help. Thoroughly enjoyed this! Thanks for sharing! It’s been over 2 years for our Dak Prescott replacement – maybe we’re 1/2 way there.